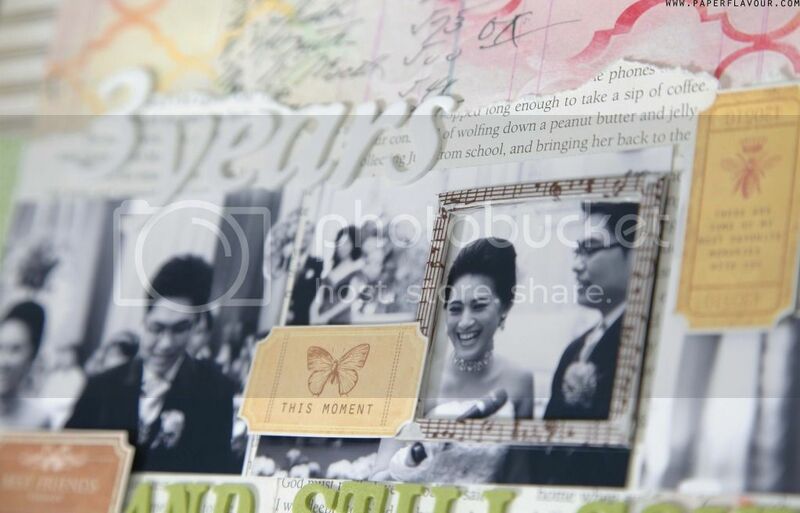 To celebrate my 3rd wedding anniversary, I decided to make a layout using my old wedding photos. 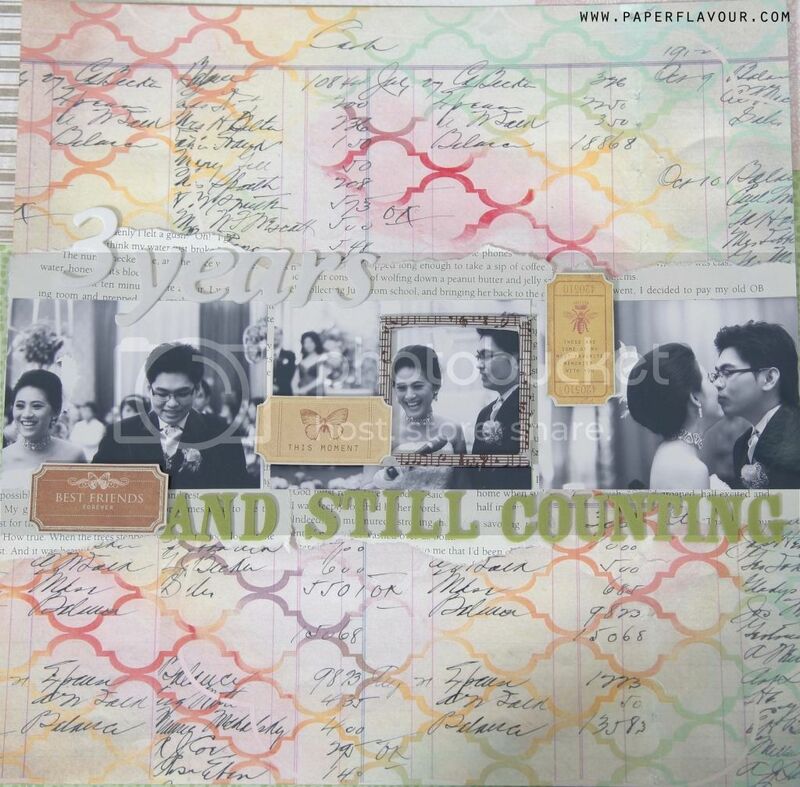 This 30x30 cm layout using fab paper from Pink Paislee which is superb, I play with ink on it, turned the white paper into colourful page. I love the matching between black and white photos and the colourful background page.